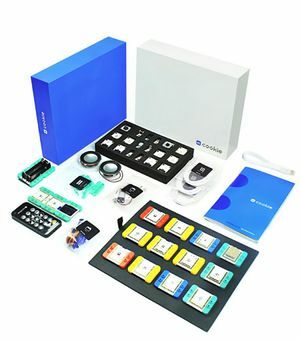 The mCookie Expert Kit is a kit that contains a set of mCookie series modules. It is designed for experienced makers and contains a set modules for complex projects. The 301 Expert Kit is the first generation. The 302 Expert Kit is the second generation. This page was last modified on 11 July 2017, at 17:08.